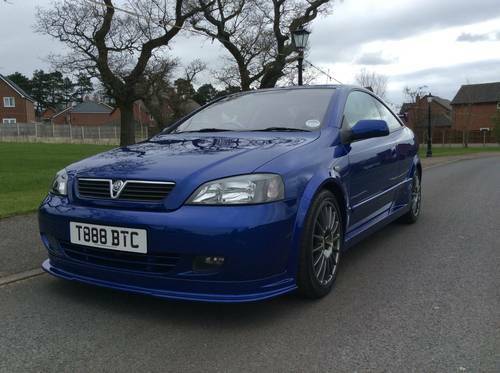 This Vauxhall Astra 888 Coupe is perfect for the Vauxhall Collector, racing heritage, rarity, low mileage, perfect as new original condition, full history, one owner and to top it off, the ‘perfect’ registration- T888 BTC. 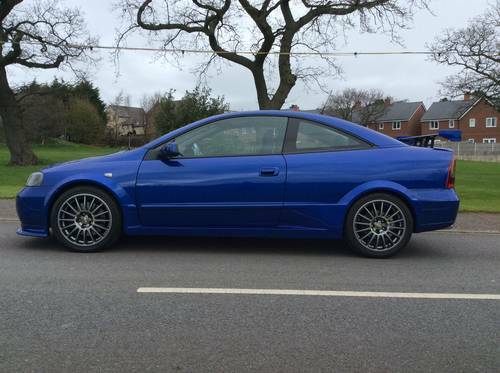 We believe this to be the best Vauxhall Astra 888 Coupe available, and an unrepeatable car.  The only owner of the vehicle was actually a Triple Eight Engineering employee, as such this car is quite special for a few further reasons- All Triple Eight Engineering sign off and checklist forms were filed upon completion, and a customer never received copies with the vehicle…. This vehicle has its Triple Eight Engineering check forms!! 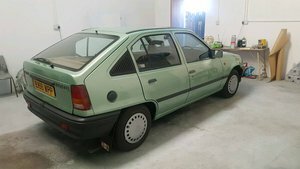 Also, it is not commonly known but Vauxhall had intended to supply the 888 models with an upgraded exhaust and ECU map to give better performance over the standard Turbo Coupe, however Opel put a stop to this it is believed. 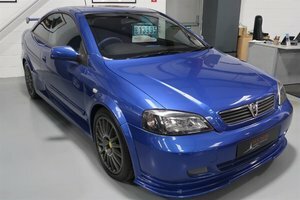 Triple Eight Engineering had developed an ECU and an exhaust system, our vehicle actually has the prototype exhaust system fitted, and the Triple Eight Engineering ECU map. We do also have an original exhaust system for the vehicle. The most recent includes cambelt and water pump replacement. Invoices present for all services also. All tax reminders, and old tax discs are present in the history file, along with all original booklets in the original wallet. Finance agreement is within the history file, along with payment receipts. Un used spare key is present, along with original Vauxhall touch up sticks. The car has a lovely registration plate, with all paperwork to show transfer etc. The car is still even on its original tyres and original battery!! 100% original paintwork as you would expect! The paintwork is in superb order, having been garaged its entire life, and having never been used in the rain. A great shine is present, with no scratches or dents at all. 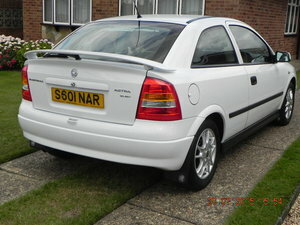 The unique bodykit which was designed and fitted to the Astra 888 Coupe only is without any damage, and the spoiler is without the usual ‘adhesive outgassing’ under the paintwork at the end plates. 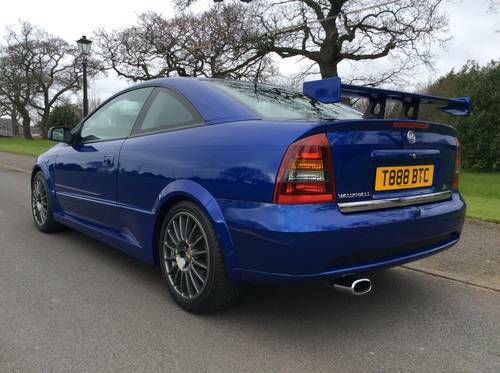 A car which cannot be faulted, and is in truly stunning order throughout. Anybody who is familiar with these vehicles, will know just how badly these interior usually suffer from wear. 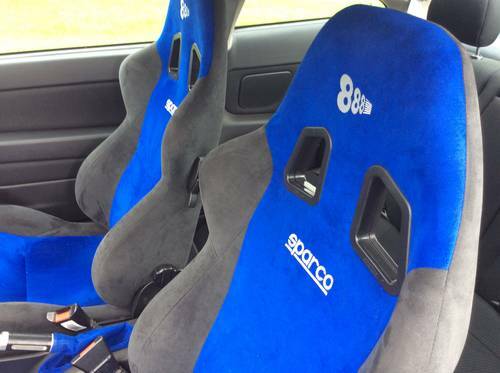 The seats (which are not available to purchase now) wear badly, the Alacantara ‘bobbles’, and the bolsters split….. These seats are unmarked and as new! Same again with the steering wheel, as new!! 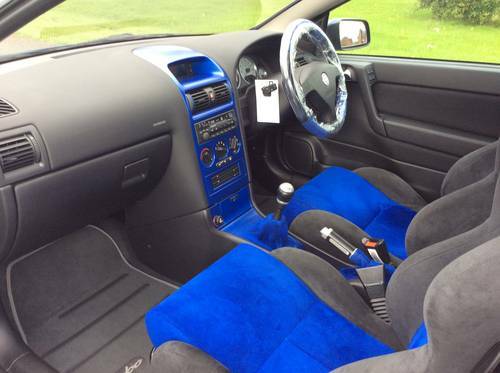 The 888 stamped pedals, unmarked – Original floormats are still fitted and in great order, blue centre console is without any damage as are the alacantara gear lever and handbrake gaiters. Very unique and absolutely as new throughout, with no damage – exactly as it should be – even with the cruise control leaflet still hanging from the cruise control stalk! 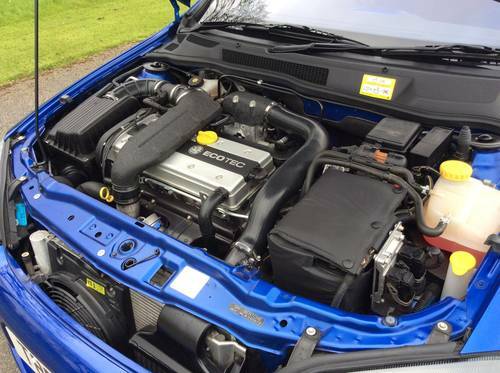 Most Vauxhall engines tend to tap from cold, and the Z20LET engine is no exception….This one is whisper quiet. 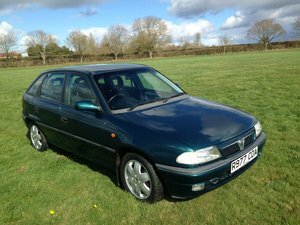 With full service history, it is clear that the car has been well looked after. Last serviced by Vauxhall specialist ‘Courtenay Sport’ 03/03/2016, this included a cambelt replacement for peace of mind. It is clear the car has not been driven in anger, the original tyres are still fitted and show no signs of hard driving. The only owner has loved this car, and treasured it, to remind him of his times working at Triple Eight Engineering during the triumphant championship winning years, so this car was treated like absolute gold and rightly so. The engine bay is absolutely immaculate, totally original and without any signs of wear, or corrosion. You could quite easily say it is showroom condition! So on to the underside and the running gear…. One word for it… Showroom! All original, even down to the original Ferodo brake pads which have 888 printed on them! The original Eibach shock absorbers and springs are as new and still display the 888 labelling. No surface corrosion present, everything is as it left the showroom, with the anti roll bars, suspension legs etc all being as new. Original tyres fitted, to the original wheels, which still display the original and correct centre caps. The original battery is even still fitted, and works perfectly thanks to being connected to a battery conditioner from new!